“Essence” is one of the most famous compilation series in Japan and is mixed by DJ 19. 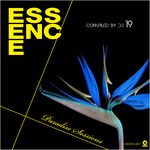 Recently “Essence” has been focusing on chillout / downtempo music instead of the stereotypical dancefloor-oriented mix CD. 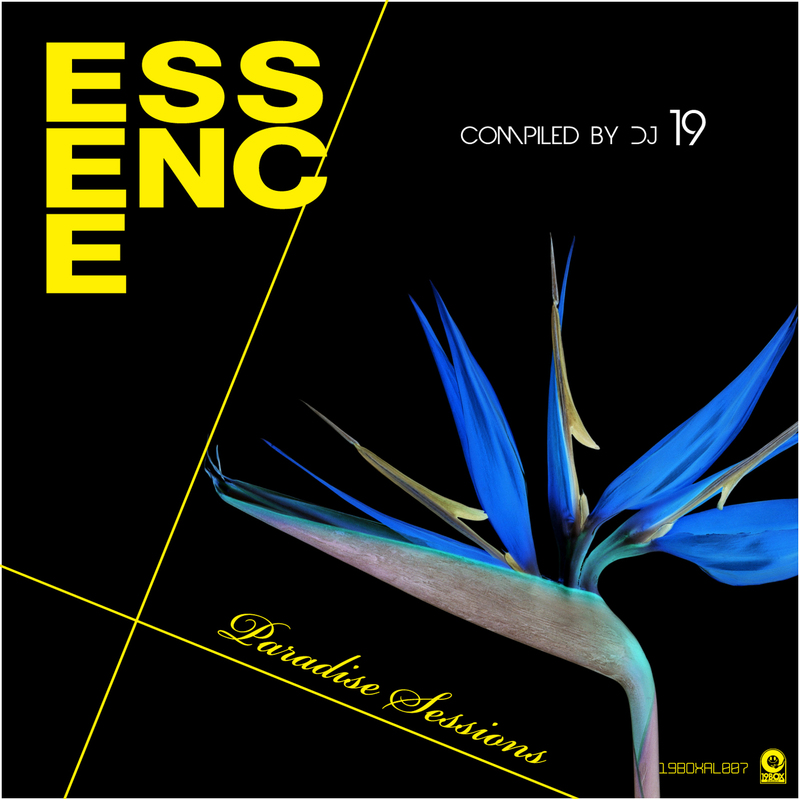 “Essence – Paradise Sessions” is the 5th installment and follows up “Chillout Essence”, “Essence – Chillout Sessions”, “Essence – Shakatak Sessions” and “Essence – Resort Sessions”. As is the way with the “Essence” catalogue, a true gem sits amid the collection waiting to be discovered. In this case, there are 4 tracks which make their debut on the compilation and 2 tracks edited especially for this compilation. Unique collaborations abound. DJ 19 has teamed up with CHILLER TWIST under the guise of ETHEREAL SOUNDS. IBIZARRE made a comment on this album; "Love the entire release! Very eclectic collection and a feast for the ears." Out on July 11th. 8.Valid Evidence / A Dream Within A Dream (Sasha Kaktus Remix). “Essence” is one of the most famous compilation series in Japan and is mixed by DJ 19. Recently “Essence” has been focusing on chillout / downtempo music instead of the stereotypical dancefloor-oriented mix CD. “Essence – Paradise Sessions” is the 5th installment and follows up “Chillout Essence”, “Essence – Chillout Sessions”, “Essence – Shakatak Sessions” and “Essence – Resort Sessions”. “Essence – Paradise Sessions” oozes warm, fuzzy, jazzy, trancey and thoroughly provocative electronica. As is the way with the “Essence” catalogue, a true gem sits amid the collection waiting to be discovered. In this case, there are 4 tracks which make their debut on the compilation and 2 tracks edited especially for this compilation. Unique collaborations abound. DJ 19 has teamed up with CHILLER TWIST under the guise of ETHEREAL SOUNDS. Lounge specialist, EDDIE SILVERTON aka JEFF BENNETT is on the list of fantastic producers chosen to represent the Essence name. Lastly, label boss DJ 19 drops his first chillout track using his standard recording name. Previous efforts in the chillout genre have seen him working as AMBROZIA, VALID EVIDENCE and HOT STATION monikers. Enjoy & Relax these undiscovered chillout tunes!!! 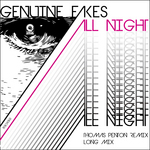 “All Night” has been taken from the Genuine Fakes debut album “Okinawa Lounge Sessions” on 19BOX RECORDINGS. Several of the tracks from said album have reached number one on a Japanese digital download website. Genuine Fakes is the alias of a famous Japanese producer who wishes to remain anonymous. This package, which follows “Because Of You” includes our label-favourite Thomas Penton and an extended mix from Genuine Fakes himself. 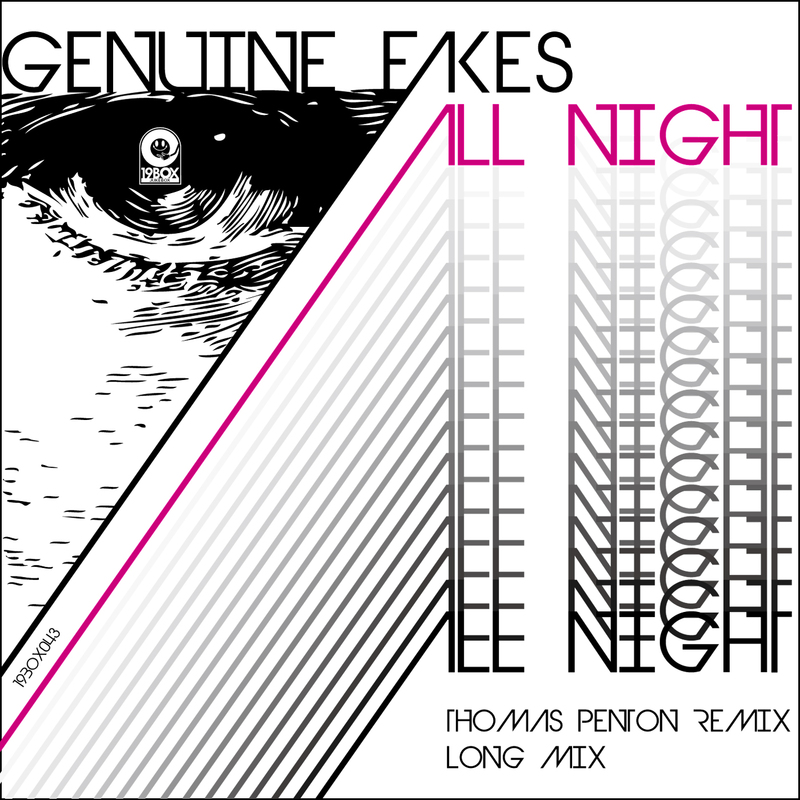 “All Night” has been taken from the Genuine Fakes debut album “Okinawa Lounge Sessions” on 19BOX RECORDINGS. Several of the tracks from said album have reached number one on a Japanese digital download website. Genuine Fakes is the alias of a famous Japanese producer who wishes to remain anonymous. This package, which follows “Because Of You” includes our label-favourite Thomas Penton and an extended mix from Genuine Fakes himself. Thomas Penton needs no introduction. He’s been one of 19BOX RECORDINGS’ few main artists after he finished a remix of DJ 19’s “Breakin’ Of The Dawn”. Today, he has released over 100 various projects on some of the industries highest respected dance labels, including PERFECTO, ARMADA, SYSTEM REC., IN CHARGE, BEATFREAK, STEREO PRODUCTIONS, SUTIL, BAROQUE and many more. Now he’s also known as one half of Crackerjack - which is a collaboration in between Thomas Penton and Scott Anselmo. Their remix for Starkillers’s “Pressure” hit the top 10 in Beatport in its first day and made it to #3, where it enjoyed the top charts for 3 straight weeks. Not afraid of cranking it up a notch, Thomas delivers an energetic and hi-octane peak-time remix that will tear the roof off of any deserving club!